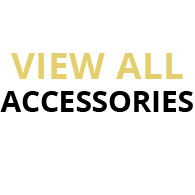 "Gun safe accessories add personality and functionality to your secure weapon storage. They're an opportunity to organize your valuable collection exactly the way you want. They let you get the most out of your safe investment by allowing you to use your safe's capacity more efficiently... and they keep your guns and jewelry safe from scratches or rust and moisture damage caused by condensation in the absence of humidity control." Humidity and Moisture damaging guns and rusting precious valuables is every gun owner's nightmare. No matter the location of your safe we have the best dehumidifiers for sale to solve your humidity woes. Our thousands of dehumidifier reviews from customers have allowed us to refine our selection to choose only the best home dehumidifier, best dehumidifier for basement and best gun safe dehumidifier. For basement dehumidification, electric dehumidifier rods such as Dri-Rod and Golden Rod typically work best. 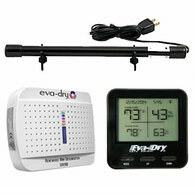 If you need more of a portable dehumidifier, the Eva-Dry E-333 and Eva-Dry E-500 work best. These quality dehumidifier options will solve your humidity problem in no time. To get an accurate humidity gauge on your safe, you need a moisture meter that doubles as a wireless hygrometer such as the Golden Rod Hygrometer. 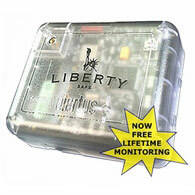 Another digital thermometer hygrometer is the Liberty Safelert that can actually text you when levels become unfavorable. Chances are, your safe is packed to the brim. 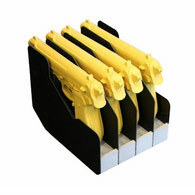 We can all use a little extra room and gun safe door panel organizers provide the perfect solution. When it comes to gun safe door storage, getting the right fit and style is crucial. 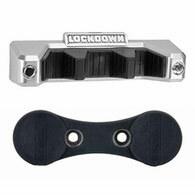 Both the Liberty safe door organizer and the AMSEC safe door organizers are top quality safe door organizers. 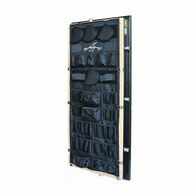 For unique safe door systems, check out the Stealth Door Panel Organizer and the Stack-On safe door organizers. Aside from keeping pistols and handguns organized, Handgun Racks and Pistol Racks provide the perfect opportunity to show off your beautiful collection. These gun safe racks double as a helping hand taking pistols in and out of your safe and can even be used while cleaning or shooting at the range. 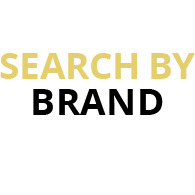 Nearly all our options are Made in USA and of the finest quality. Interior Lighting is available for everyone and every safe, whether or not you have access to an electrical outlet. Our variety of gun safe LED lights include Lockdown rope lights, Liberty motion sensor lights, motion detector lights, Brightview light bars and even security safe lights for your electronic or dial lock. 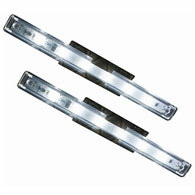 Gun Safe interior lights are a breeze to install and these LED safe lights are sure to brighten up your safe. Looking for LED cabinet lighting? We can help with that too! Whether you need the ability to install lights around the door or you want to install under cabinet lighting, our adhesive rope lighting options are sure to do the trick. 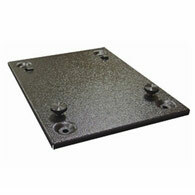 Gun Storage Solutions continue to come up with innovative ways to expand the capacity of your safe. With Rifle Rods you can increase the storage capacity of your safe by 50%. With the several models of handgun hangers available, you can claim that unused space underneath the shelf to store even more pistols than you ever thought possible. 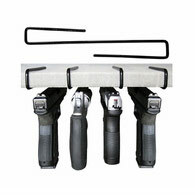 Multi-Mags allow you to store a rifle, pistol, clips, or magazines virtually anywhere! 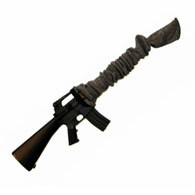 Made specifically for handguns, pistols, shotguns and rifles, these gun socks offer protection from moisture damage. They are silicone-treated and actually wick the moisture away from the gun to keep it protected.